Cook’s Pest Control, Inc – Pest control company serving southern United States. Includes information about services for homes and businesses. 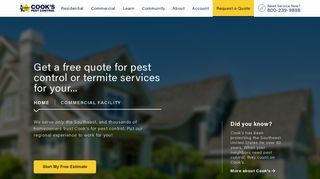 – Pest control company serving southern United States. Includes information about services for homes and businesses.